A friend recently purchased a medical alert system (or Personal Emergency Response System – PERS) for her grandmother. She made her decision by the monthly cost and equipment fees. Fate Care reviewed 8 companies (AlarmCare, AlertOne, Life Alert, LifeCall (aka Connect America), LifeLine, LifeLink, LifeStation and MedScope America and chose 3 based on overall costs and service contract lengths. VIEW THE FULL REPORT HERE. This report was generated on July 20, 2009. 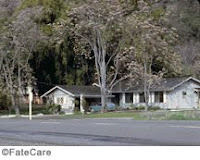 FateCare.com is not affiliated with any of the above companies, nor does it endorse these companies. Need more information to help make a decision? With all of the excitement following Tom Watson’s last chance (at age 59) to win at the British Open (that restricts players age 60+) last weekend, FateCare decided to investigate what sounded like an incredibly ageist agenda. FateCare looked at three specific questions 1) are age limits in golf common, 2) what are the health benefits to playing golf, and 3) is golf any less beneficial or even dangerous to senior players? 1. Age limits in golf are not common. • “The British Open is the only major that sets an age limit for its champions” (Ferguson, 2009). • Augusta National “announced an age limit of 65 this decade” (Ferguson, 2009), but never imposed the limit. • The PGA Championship claims no limit, but seldom has “champions over 50 compete” (Ferguson, 2009). 2. Golf promotes several health benefits. • Golf requires cardiovascular exercise that promotes a healthier heart and lower cholesterol (Think-Golf, 2006). If a player walks, instead of using a golf cart, he can end up walking “several miles around the course” which can be up to 3 to 5 miles of walking in an 18-hole game. (GoGolfNW.com, 2009). • The weight bearing exercises associated with golf, when practiced “two to three times a week can create long, lean muscle mass, which helps support a strong skeleton” (Think-Golf, 2006). The swinging of clubs and putting “help tone muscles in the arms, back and shoulders. It may also improve flexibility and range of motion. Golf also helps to strengthen hand-eye coordination and balance. It can be a great way for older players to remain spry and active in a low-impact way” (GoGolfNW.com, 2009). • Vitamin D is produced when one spends time out in the sunshine. “Vitamin [D] is essential for strong bones, it regulates the amount of calcium and phosphorus in the blood. Vitamin D also helps regulate the growth of skin cells” (Think-Golf, 2006). • Golf also allows players to engage in social interaction “spending time with friends and other players and engaging in conversation” (GoGolfNW.com, 2009). • Golf is also useful in behavioral therapy of Alzheimer's patients. By giving Alzheimer's patients "an activity that once brought about true pleasure...their minds can clear, and memories related to that activity can return" (Futterman, 2009). Activities like golf have proven "helpful in both making people with dementia feel competent and generating periods of lucidity" (Futterman, 2009). 3. Golf is less beneficial to seniors in Vitamin D production and creates risk for injuries if participation is unsafe. “Studies have shown that as we age, we tend to produce less vitamin D even with adequate sun exposure” (Benefits of Vitamin D, 2009), further supporting the need for supplementation. Vitamin D plays a key role in human longevity “the risk of death from all-cause mortality may increase by 26 percent due to inadequate vitamin D” (Archives of Internal Medicine, 2008). Golf can be of risk to seniors when participation is unsafe. Although playing golf provides a moderate intensity exercise stimulus for seniors, musculoskeletal injuries can also result from unsafe participation, as can the aggravation of pre-existing musculoskeletal problems. Strategies for targeted management of the senior golfer's typical concerns are summarized into 4 categories consisting of: injury rehabilitation coordinated by therapists, warm up routines; club-fitting/coaching on proper technique, and pre-season conditioning programs. (Cann, et. al., 2005). Golf is beneficial and safe for seniors when played according to proper techniques. Of course before beginning with any new physical activity program, one should consult with their physician first. When I think of a crone energy role model who has benefited from her great communication skills, I could think of none other than the ‘blogging granny,’ as she was nicknamed. 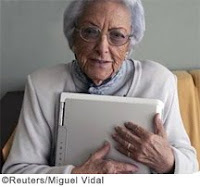 María Amelia López Soliño dubbed “the world’s oldest blogger,” was 95 when she began her blog in December of 2006. Her blog, set up as a gift from her grandson, quickly became her treasured hobby as she communicated with readers around the world. From Muxia, Spain, “her blog, at amis95.blogspot.com, became a global hit, notching up more than 1.5 million visits” (Kendall, 2009). Being able to communicate with the world was a life changing experience for Soliño. She explained, “My grandson gave me a present, this blog when I was 95 years old … and my life changed … now, I can communicate and interact with the world” (Kendall, 2009). She described the Internet as "a whole new universe," comparing blogging to “having a conversation, and those who read what I say become my friends" (Burnett, 2007). Soliño used her blog to communicate lighthearted “humour, warmth, optimism [and] nostalgia” (Tremlett, 2007), and “touched on many aspects of her long life, from political memories of the Franco era to intimate musings on her increasingly fragile state of health.” (Olive Press, 2009). Soliño also used her blog to comment on important issues related to aging and seniors’ rights. She joined “Facebook to…set up a group…to defend the rights of the elderly” (News Bizarre, 2009). She also discussed her opposition to retirement and assisted living homes, which she criticized “for drugging their clients so they spend their final days snoozing quietly in front of the television” (Tremlett, 2007). While she said she blamed the children of the elderly for not personally helping their parents, she also blamed the retirement homes themselves for their "do-nothing and wait-to-die" (Tremlett, 2007) culture and the lack of Internet provided to older people (Tremlett, 2007). Soliño said, the "Internet has given me a new lease of life, but I don't see any old people's homes offering their residents Internet" (Tremlett, 2007). Soliño believed and preached that seniors needed to use the Internet saying, "Elderly people like me - and there are a lot of old people who are younger than I am - should all have someone who shows them how to use the Internet…You have to stay informed" (Burnett, 2007). When Soliño received criticism from the other seniors in Spain who opposed her blog, she did not shy away but wittily addressed it. "To all the little old women in Spain, and those who think that I am not well [in the head] … This old woman is on her own right now, but she is chatting on the internet and having a fantastic time" (Guardian, 2009). Soliño’s blog gained worldwide respect. Although “much of her traffic comes from Spain and Latin America, … newspaper and television interviews, …[and] YouTube links given on her blog, have spread her name beyond the Spanish-speaking world” (Tremlett, 2007). Posts came in from “fans in Alaska, Australia, China…Nigeria” (Tremlett, 2007), “Chile, Venezuela, Russia, and Japan” (Burnett, 2007). She also received national attention from Spanish Prime Minister José Luis Rodríguez Zapatero, whom she was eventually granted a meeting with. “A letter from his office is one of many documents that she has posted on the website. ‘May you keep going with this for a long time,’ the prime minister told her” (Tremlett, 2007). Soliño successfully kept her hobby going by communicating with others in her life. Due to the impairment of her vision by cataracts (News Bizarre, 2009), she would dictate her blogs to her grandson Daniel (Burnett, 2007). “When Daniel is not to hand, other assistants pop up on her blog, be they friends or hotel cleaners in Brazil” (Tremlett, 2007). Soliño did her best to reply to as many people as she could, but noted, “So many people write to me that I can't hope to reply to them all, though I want to" (Tremlett, 2007). Soliño not only used the Internet to communicate with others, but she also made use of the Internet for her own personal entertainment and information. She liked “to read online newspapers…and stay up-to-date with medical and scientific advances” (Tremlett, 2007). Oftentimes she had her grandson print out pages in larger type for her. “He prints out biographies and news articles from the Web for her to read, as well as responses to her blog…she says she tires quickly of reading text on a computer screen” (Burnett, 2007). Soliño found fulfillment in her communications over the web, highlighting how beneficial Internet communications could be for seniors. “She wrote frequently of the benefits of the online community she had created” (Kendall, 2009). She blogged once that the Internet “took 10 years off my life...the Internet makes me feel less lonely" (Burnett, 2007). She later wrote, "It took 20 years off my life…my bloggers are the joy of my life" (Associated Press, 2009). In February 2009 she said, "When I'm on the internet, I forget about my illness. The distraction is good for you – being able to communicate with people. It wakes up the brain, and gives you great strength" (Kendall, 2009). Soliño’s savvy communication skills led to her success as a blogging senior, bringing worldwide attention to seniors’ issues and illustrating the benefits of Internet communications for seniors. Her communications with friends and family also allowed her to function fully as visually impaired blogger. Through blogging, Soliño found solace, friendship and was able to live a fulfilling life. Soliño once said, “I've had 1,570,784 visits from bloggers from 5 continents who have cheered up my old age" (Reuters, 2009). Soliño is true inspiration to all. She illustrates how fulfilling communication is at any age. Soliño also said, “You have to live life…not sit around in an armchair waiting for death" (Guardian, 2007). Soliño did just that until her passing on May 20, 2009.